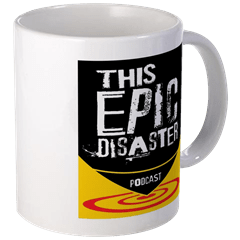 This Epic Disaster 42 – The Halloween Game! We’re a little late since Rick just returned from a week in Florida where he experienced lots of extreme weather and extreme bikinis. This week we announce our new Facebook Trick or Treat game! Everyone can play along with us for free! 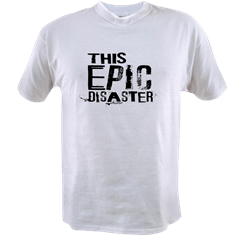 Grand Prize is a This Epic Disaster T-Shirt, and original art piece by Rick AND you will be a guest on the podcast! 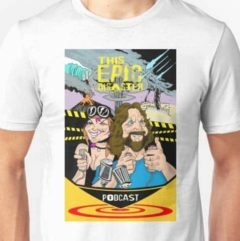 There are several other prizes as well so check the Facebook page and podcast website for game rules and prizes. This week’s Live Beer Review is Elysian Brewing’s The Great Pumpkin Imperial Pumpkin Ale.